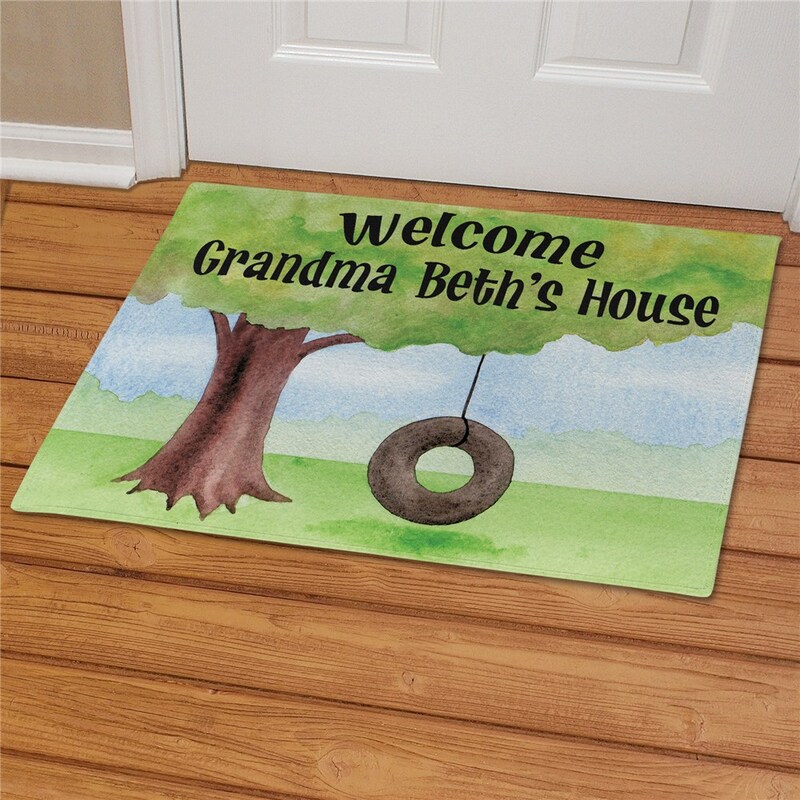 This unique tire swing designed Personalized Doormats are a great way to welcome visitors with a wonderful feeling of summertime fun. It’s perfect for any entrance way of your home and makes a unique house warming gift idea. Your Summer Welcome Custom Doormats includes FREE Personalization! 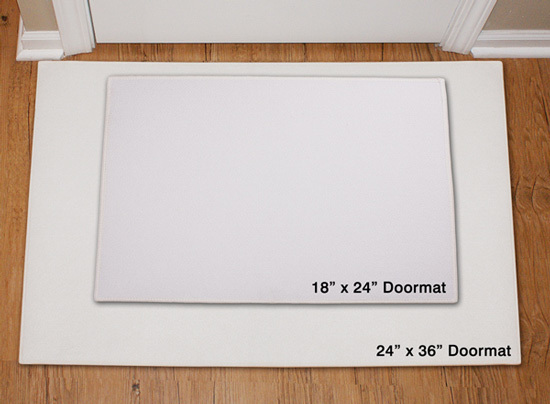 Personalize your Welcome Door Mat with any one line custom message. (ex. Grandma Beth's House) Please Note: "Welcome" is standard on this design. This was a Christmas present and haven't got to give the gift yet. But have ordered other items and have loved them. 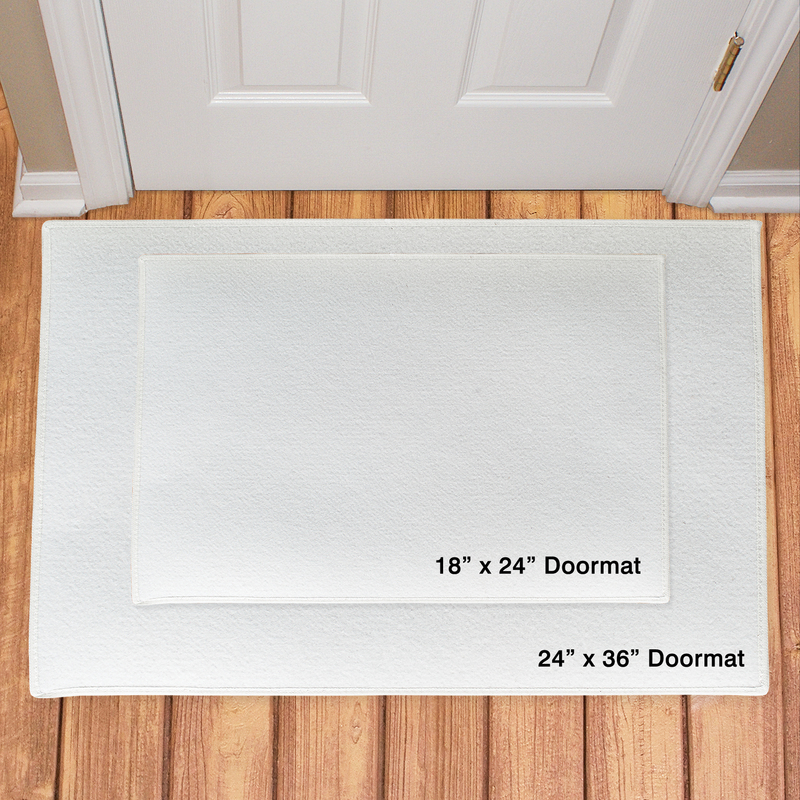 A Personalized Doormat like this is perfect for your Lake House, country home or log cabin. It welcomes all visitors to your home with warmth and love. Our Tire Swing Welcome Doormat also looks great with our Personalized Tire Swing Garden Flag. For all your Personalized Summer Fun Gift Ideas, shop GiftsForYouNow.com.